Two Component Low VOC High Solid, Epoxy Surface Tolerant Coat Designed For A Long Term Protection In A Single Coat Application With Excellent Adhesion. Specially Designed For Offshore Maintenance. Can Be Applied In A Number Of Corrosive Environments Including Bridges, pulp & Papers Plants, Chemical Plants, Peb's, Refineries Etc..
Owing to a long-term destination for our business, we are engaged in offering Epoxy Primer. 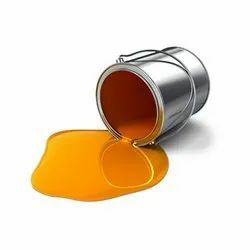 We are highly involved in providing a wide assortment of Epoxy Primer Paint, which are associated with some of the selected vendors of the market, who processed this offered range using superior-grade ingredients. The primers are usually thinned with Epoxy thinner to achieve applicable consistency. Our products are obtainable at leading market prices. FULL GLOSS, SEMI GLOSSY AND MATT EPOXY PAINT (TWO PACK). - Excellent Resistance to Chemicals.